Our local Fayetteville TN Radon Gas Measurement Specialist will coordinate a convenient time to stop by your house and set up the Continuous Radon Monitor (CRM). Our Fayetteville TN certified Radon Gas Measurement Specialist will then perform a continuous radon monitor test in your home. This is the most accurate radon test in the industry, capable of providing reliable results within 48 hours. And It takes just three steps! So, What exactly is Radon? Radon is a naturally occurring radioactive gas that has become the second-leading cause of lung cancer — second only to cigarette smoke. Most soils contain uranium that, over time, decays to produce radium and polonium. Eventually, polonium is released with the radon, which creates a high toxicity level in the air and water that it infuses. Perhaps some homeowners are thinking they could recognize high levels of radon in their home. Unfortunately, radon is completely undetectable with any human senses. For those 20,000 people who have never smoked and have never been heavily surrounded by smokers, the lung cancer diagnosis is far from self-induced. Radon induced lung cancer kills one person every 25 minutes, joining arsenic, asbestos and benzene as a Class-A Carcinogen. Perhaps the link between radon and the nuclear bomb is something new to homeowners. Radon gas was actually a vital aspect of the gaseous makeup of the nuclear bomb. The nuclear bomb was used in World War II as an offensive against Japan. The bombs utilized uranium and became known for the residual effects of radiation poisoning. This uranium and radiation are what links the nuclear bomb to radon gas. And although the levels of radon that resulted from the nuclear bombs far exceed the amounts of radon found in a home, the principle remains the same– radon gas is very harmful and can be deadly! While the effects of smoking cigarettes are far more recognizable when compared to the effects of radon exposure, there is very little separating the severity of these two causes of lung cancer. How can smoking cigarettes be compared to radon exposure? Check this out! 1 pCi/L of radon is equal to 2.5 cigarettes a day! Multiply a home's radon levels by 2.5 and understand that any homeowner could easily experience the effects of smoking a "pack a day" if the radon levels are at 4.0 pCi/L– the action level established by the Environmental Protection Agency. 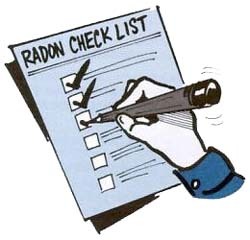 The amount of radiation in 4.0 pCi/L of radon is actually equivalent to the radiation in 100 chest X-rays. Sure that seems like a lot, but this gets worse. Most hospitals actually only allow patients to have four chest X-rays each year. Let's do the math. That converts to the equivalent of .16 pCi/L per X-ray and .64 pCi/L of radiation a year with four X-rays. In other words, radon mitigation in Ontario is crucial to the overall health of any homeowner in this states. Contact us today and we will be happy to test and mitigate any local home. Knowledge is power, so take action against radon. Be sure to learn more about radon and real estate, as well as our in-depth analysis of radon levels. All work is performed by individuals certified in Fayettevile TN mold remediation and follow industry standards for isolation and removal of contaminated building materials.